Nosebleeds are a common first aid occurrence and tend to occur more frequently in children. Although they are common, they can still be cause for alarm, especially if they last a long time or occur frequently. The nose has many fragile blood vessels near the surface, which is why nosebleeds are so common. These blood vessels can be easily ruptured, causing the nose to bleed. The medical term for this condition is epistaxis (x). Though nosebleeds are a common, the severity and type will vary depending on the situation. And sometimes, they do require medical attention. It is possible that frequent nosebleeds may indicate a patient has an underlying condition related to the bleeding. Beyond the many causes and characteristics, treatment of a nosebleed can usually take place at home. Moreover, nosebleeds can often be preventable with the proper environmental factors and nutrition. There are two different kinds of nosebleeds — anterior and posterior. Anterior nosebleeds are more common and are characterized as a nosebleed caused by a breakage of the blood vessels in the front of the nose (x). Posterior nosebleeds are less common, but tend to be more severe and often result in the need for medical attention. A posterior nosebleed occurs in the nasal cavity, the deepest portion of the nose. A posterior nosebleed can be dangerous because blood can easily flow into the back of the throat and then to the stomach. This often causes vomiting. These nosebleeds can last extended periods of time and can be very difficult to control (x). Our nasal mucosa contains a rich supply of blood, but is also prone to rupture. A rupture is what causes a nosebleed, and it can happen either suddenly or due to trauma (x). A sudden nosebleed is generally not a cause for alarm, but frequent nosebleeds may point to an underlying health condition that should be investigated. The most commonly reported cause of nosebleeds is due to dry climate and dry air. The tissues inside our noses will dry out when exposed to dry air for prolonged periods of time. This excessive amount of dryness will cause the nasal membranes to crust and become extremely irritated. Eventually, either due to cracking or from scratching, a nosebleed may result. Other factors including excessive nose blowing, exposure to allergens and frequent use of the nasal spray can dry out the nasal membranes, causing nosebleeds (x). When dealing with infrequent and sudden nosebleeds, they will typically be anterior nosebleeds. But if a nosebleed occurs due to a traumatic injury, it is possible that there is a nose break, skull fracture or even internal bleeding as well. In this case, it is essential to seek medical attention (x). Though nosebleeds occur surrounding a number of different factors, there are methods that can help to prevent them as well as ease bleeding when it occurs. 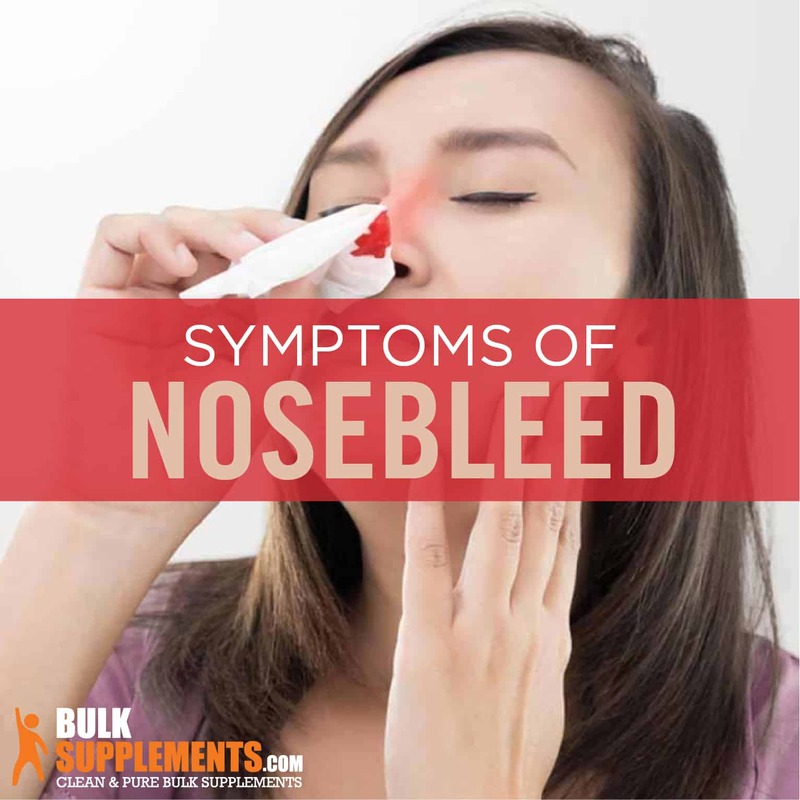 Preventing things like excessively dry nasal passages and implementing certain vitamins into your diet can lower your risk of getting a nosebleed (x). The most effective home treatment of a nosebleed is to simply lean forward slightly in a seated position and keep the nose above your heart. Pinch the soft part of the nose with your thumb and index finger and press firmly. Hold your nose in a compress for at least five minutes or until the bleeding has stopped. You may want to have tissues or gauze present to collect draining blood. Avoid tilting your head back or swallowing blood that enters your mouth. Spit any blood out that drains into your mouth. Swallowing large amounts of blood can result in vomiting and/or diarrhea. You should also avoid lying down during a nosebleed and resist the temptation to pack tissue or bandages into your nostril to stop the bleeding. This can actually cause more bleeding. Depending on the cause of the nosebleed, you may want to apply ice to the nose and face area after the bleeding has ceased to bring any inflammation down and to lower the risk of continued bleeding (x). If nosebleeds are occurring due to a dry climate or other drying factors, there are some simple home remedies you can use to curb the issue. You can use a Q-tip to gently apply vaseline to the inside of the nasal cavity as well as the outside of the nose to moisten the area. It is also helpful to use a humidifier when you sleep. Since most houses use central air systems, humidifiers help to keep the air from becoming too dry. Beyond being able to control external factors related to nosebleeds, knowing what vitamins are good for nosebleed prevention can help as well. 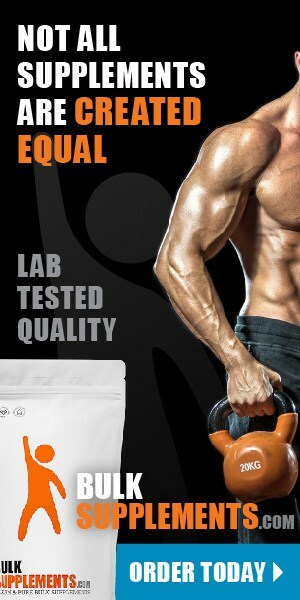 Vitamin C: Known as a powerful vitamin for strengthening blood vessels and preventing excessive bleeding. Vitamin K: This vitamin can be especially helpful for people suffering from celiac and liver disease. It helps to ensure that your blood clots. It is an easy vitamin to get through food if you often eat green vegetables, but if you have a deficiency, then supplements may help. Nettle: Nettle leaves are known as an herbal remedy due to their properties as a natural astringent and for being a hemostatic agent. You can use nettle leaf tea or a nettle supplement to ease nosebleeds by brewing the leaves and dipping a cloth into the liquid and then applying it to the nose. Nosebleeds are a very common condition that most first aid kits can fix. With the proper environment and sufficient nutrients in your diet, you will likely avoid frequent nosebleeds. However, sudden injury to the nose or certain underlying health conditions can lead to frequent and dangerous nosebleeds. If you suffer from nosebleeds often and are unable to manage them with home remedies, then it is best to consult a trusted medical professional for further treatment and a medical examination.